Hallo liebe Leute, wie geht’s? I’m a bit late with regards to this thread but am hoping people are still reading it from time to time. Hoping to move to Berlin myself later this year and in doing so perhaps improve my German-please excuse the pitiful attempt above. However, my fear is that it will be all too easy to sink into my comfort zone and therefore speak English. Is there any worth in seeking to move outside of Berlin to places like Potsdam or even Brandenburg? At the moment, I’m in the midst of planning my accommodation, so it would be good to know what the consensus on this question might be? In my opinion, if you move to another country, you should learn the language but with Berlin being an international city, I am worried that this will discourage me in my efforts. If anyone could shed some light on this, I’d be grateful. Cheers. 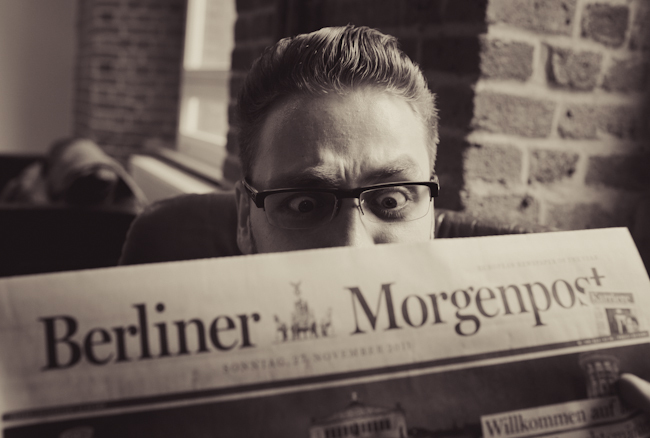 Learning German is essential nowadays and I feel that even though I could survive here with my English only when I first arrived in Berlin, something pushed me to learn the language. My job is basically in English and I rarely use German there, but I feel the necessity to interact with German people. After all I came to live and work in Germany, so I need to understand the way this nation lives and thinks. 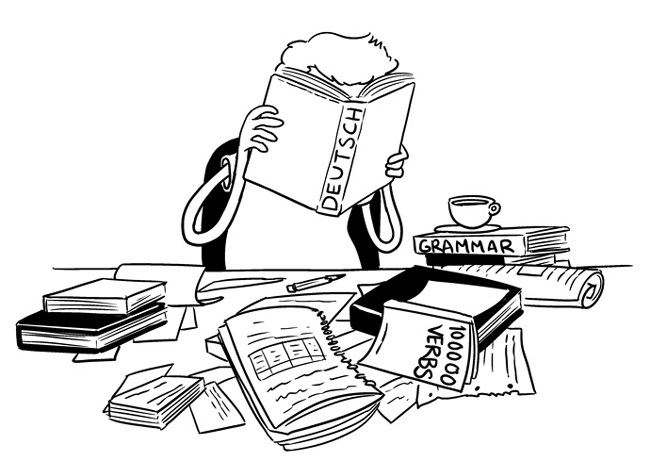 But one thing I see quite frequently is that many Germans are willing to speak in English and sometimes I notice that they are happy to practice the language, so this might be a good reason for the lazy foreigners to refuse to invest on learning German. However, there are many language schools with reasonable prices and flexible hours. One that I attend is Deutschakademie ( http://www.deutschakademie.de/berlin/alexanderplatz ). I started here in November, in my second week in Berlin. I am pleased with my choice, as I improved my German and feel much more confident than before and the language school is in the centre and very near to my place. The classes are not over-crowded as other language schools and the price is good for what it offers. I think that it is easy to organize your time and attend some lessons after work and there are language schools in every area in Berlin… So that means no excuses guys. Learn German!!! Hello, my teacher now is Corrina. This is in Alexanderplatz. I had some other teachers in Wittenbergplatz as well as Julianne and Janina. All of them are very good but my favourite teacher is Julianne. Which teachers did you have? I might know some of them from the Stammtisch. I also highly recommend tandem learning, more than anything it just gave me the confidence to get started and I met a few nice people who work in other fields (as hard as I found to discuss my own field with a near-stranger, discussing law or chemistry was a great challenge!). Thank you for the mention, Zoe & James! For finding a tandem partner, I can recommend Lingo Bongo: http://www.lingobongo.com/berlin/en/. You can put your own ads up to find a tandem partner or read others’ ads. There are also tandems for other languages, plus job offers and offers for private (paid) courses. Agree that Duolingo.com is amazing! I am a complete beginner, moving to Berlin in two weeks and it’s got me fairly far already. The Deutsch warum nicht? podcasts (on iTunes) are also pretty good I found. Although I’m someone who picks up languages fairly quickly – I think this might be a bit challenging if you weren’t used to grammatical concepts etc. It’s definitely a huge help and motivation to find some local who’s willing to cooperate with you as a German-learner and is interested in explaining the details and correct misunderstandings. I’m currently helping a great person to learn German and it’s really fun! My advice: if you already have a basic grasp of German, and you’re looking for a flat share, live with German housemates. If you make the conscious decision to not speak English with them, you’ll be forced to speak and hear German on a regular basis, which is really the only way to improve your German in my opinion.